In addition to the recent posts about newborn photography here on BYP, I also wanted to draw your attention to several related posts that I have written over at Craftsy. This post provides a quick summary and roundup of both the Craftsy and BYP newborn photography posts. Quick and Simple Backdrops for Newborn Photography. Everything you wanted to know about backdrops for newborn photography - and maybe then some. Want my recommendation? I shoot with a backdrop stand made by Square Perfect that is featured in the article. Or, get inventive and make your own - here's DIY plans from Digital Photography School. Tips for Easy Newborn Photography Props. Inexpensive and creative ideas for how to find props suitable for newborn photography. Also includes important advice about other newborn photography must-haves. Newborn Photography Safety Tips. Important advice about safety and simple practical steps to ensure a smooth newborn photography session. 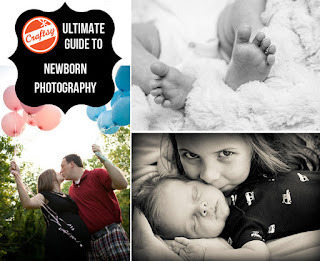 Craftsy Ultimate Guide to Newborn Photography. This ultimate guide is a roundup of all the other newborn photography-related posts on Craftsy. More than a half-dozen great articles on how to shoot newborns, families, and even maternity shots. Easy Setup for Formal Newborn Photography. Find out how to use that backdrop to setup and capture incredible newborn photographs. Detailed behind-the-scenes included. 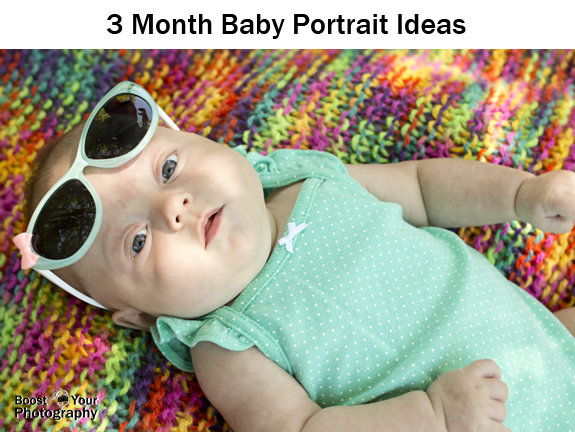 3 Month Baby Portrait Ideas. Collection of shots from a recent photo shoot with this adorable 3-month old and her parents. Ideas and inspiration for posing and types of shots. 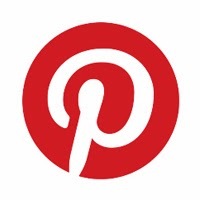 More posts coming soon! Have questions about newborn photography? Leave your thoughts in the comments - they just might inspire a new post. Boost Your Photography: Learn Your DSLR is now available from Amazon. 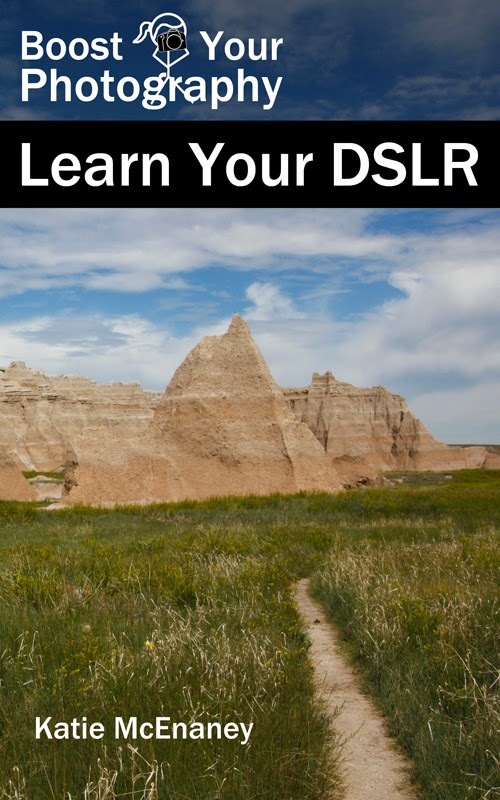 Get the most out of your camera with practical advice about the technical and creative aspects of DSLR photography that will have you taking beautiful pictures right away.